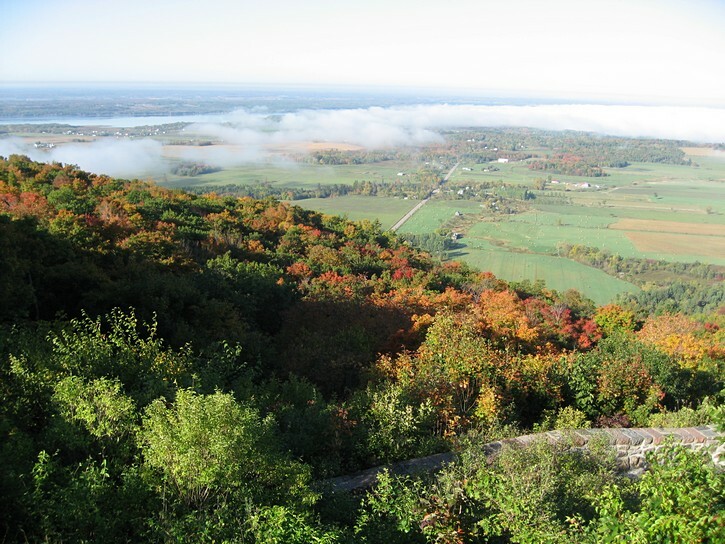 Heading up to the Champlain Lookout in the Gatineau Park is a great ride that gets you out of the city’s urban environment. It is also a little different from other local rides insofar that this one is often used by cyclists for training purposes or to realize certain personal objectives people may set for themselves. The reason for this can be summed up in one word: hills. To put this in a broader context, one has to remember that, with the exception of a few isolated areas, the terrain around most of Ottawa is fairly flat. Despite this reality, competitivecyclists need to be good climbers, as do individuals who would like to go bicycle touring in interesting locations which may involve some hills. It doesn’t matter how much cycling you do, the best way to prepare for climbs is to actually practice pedaling up hills. In the Ottawa area, this means heading over to the Gatineau hills (sometimes referred to as “the Gats”). Note that because of the hills and the potential distances involved, this can be a difficult ride for some people. If you are working on getting fit, or aren’t used to this type of cycling, you will have to be the judge of whether you are physically ready for such a strenuous activity. 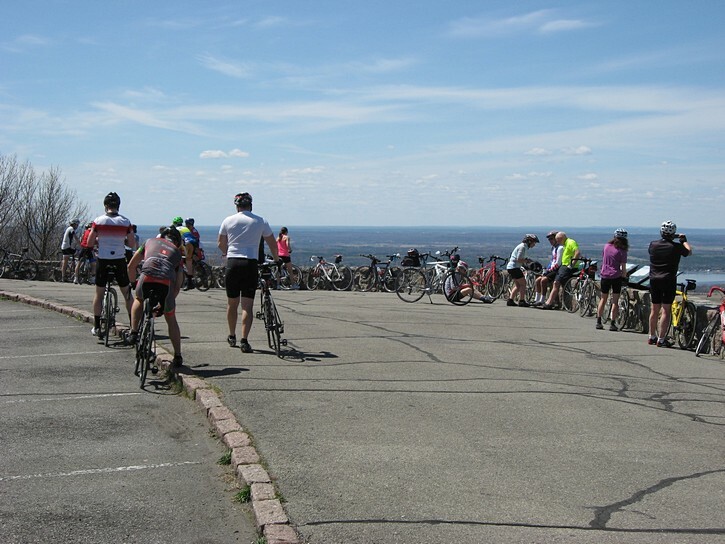 Moreover, you might not want to go all the way to the Champlain Lookout during your first few rides into the park, and it may be wise to schedule rest stops when climbing some of the more difficult hills. Getting rid of any excess weight will also help your hill climbing ability (ditch the heavy U-lock, and if you happen to loose a few extra pounds yourself, so much the better). 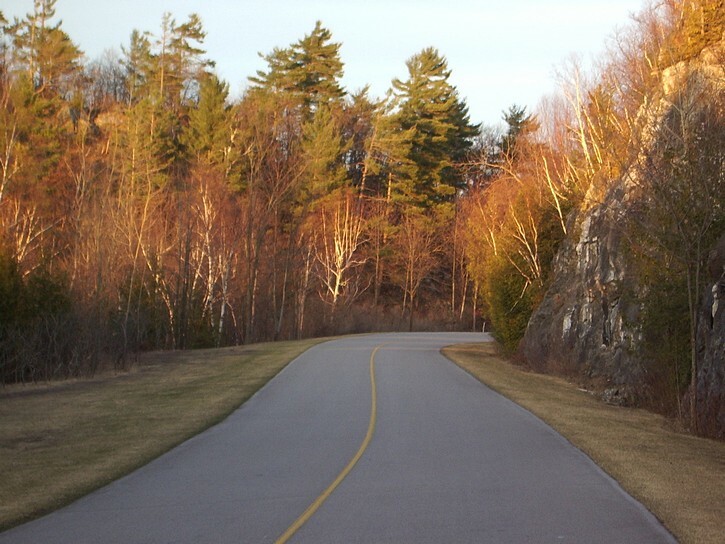 There are a number of ways of getting into the Gatineau Park by bike, but most people will probably do so by taking the Vogageurs Pathway which runs along the Quebec side of the Ottawa River. The turnoff for the park is behind the Outaouais campus of Université du Québec, or roughly half way between the Champlain and Portage Bridges. You have to ride two short blocks on Belleau Street to get to the path which starts at one of the entrances to the Gatineau Park. After riding this path into the park for approximately three kilometres you’ll arrive at the “South Gate” on the Gatineau Parkway, which is located at intersection of what used to be Gamelin Street (now a wide east-west bike path). Here you will find a National Capital Commission (NCC) information booth, the P3 parking lot, outhouse toilets, and most importantly, a drinking water fountain. 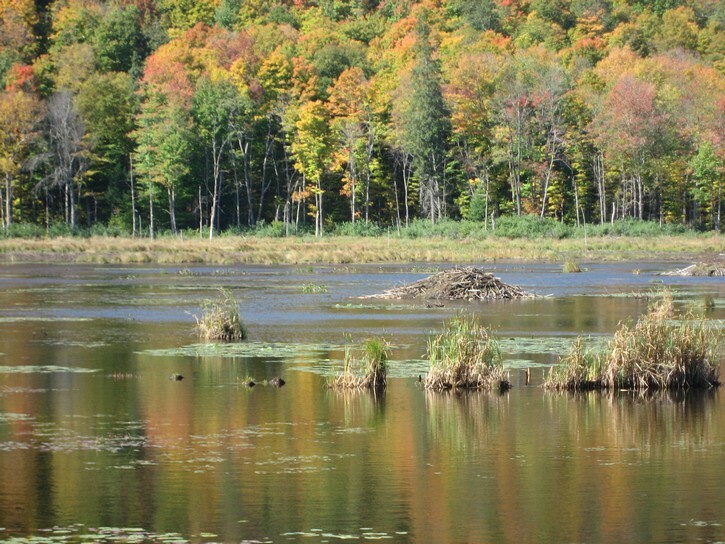 This will be your last chance to get water before heading further into the Gatineau Park, so drink up and make sure your water bottles are filled. If it is a hot day, you should have at least two bottles, maybe more. A hydration backpack is another option for bringing enough water. For all practical purposes, the ride into the Gatineau Park really begins at P3. In fact, many cyclists who live far enough will come by car, park in P3, and start their ride from here. 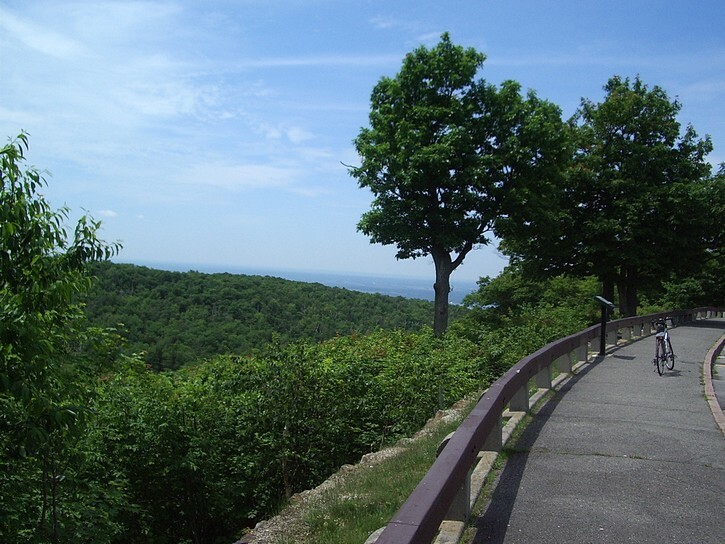 Although there is a pathway that continues into the park beyond the P3 parking lot, it is about 5 kilometres long, and goes nowhere near to the Champlain Lookout. At this point, most cyclists opt to ride on the Gatineau Parkway. It is a reasonably wide road with no curb to get in the way. Since vehicles making use of the parkway are there mainly to visit the park, traffic tends to be light and is rarely much of a problem (with one exception – more on this later). Moreover, there are enough bikes on the parkway that most drivers quickly tune-in to their presence and tend to be careful of cyclists. 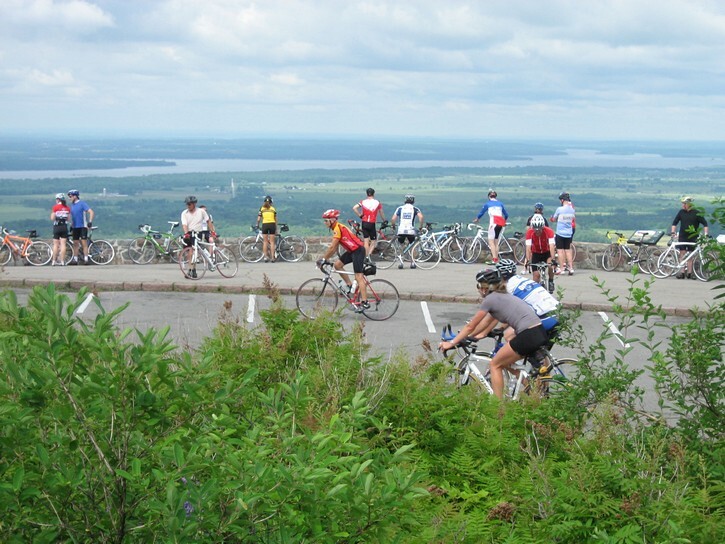 Cycling towards the Champlain Lookout is mainly about climbing a succession of hills, including a couple of tough ones. There are also some brief downhill segments, but these are relatively few, and they don’t offer much of a reprieve. The presence of high tension wires running across the parkway signals the beginning of the first real tough hill that you will encounter. 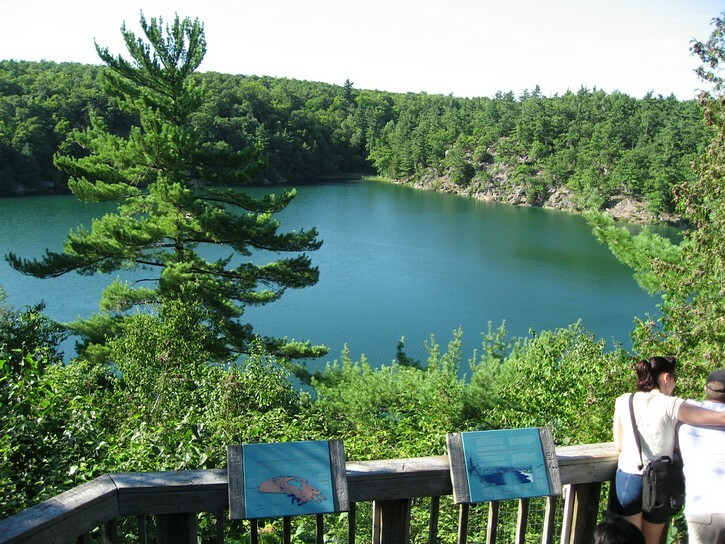 It’s the one leading up to Pink Lake, and it is fairly long and definitely one of the steeper hills on the Gatineau Parkway (a climb of 220 ft or 67 m). At the top of this hill is an outdoor interpretative centre about the ecology of Pink Lake. 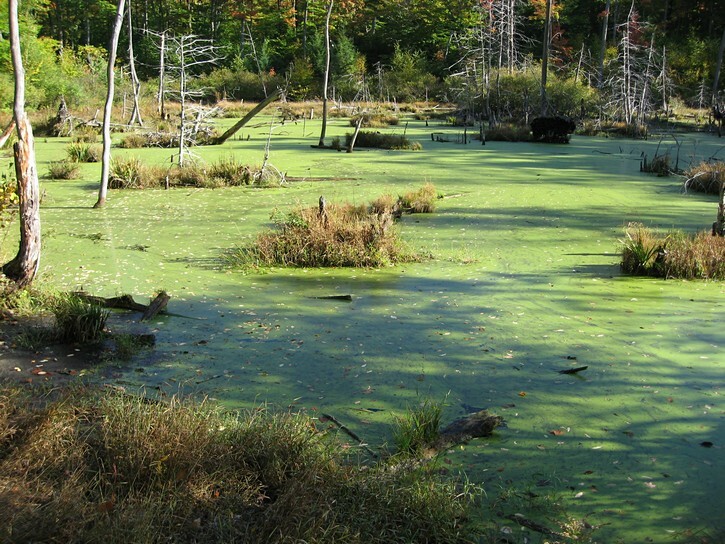 It is a rare meromictic lake, meaning that it has layers of water which do not mix. All of this can be quite handy because, if you don’t want people to know that are you are tuckered-out after climbing the hill, you can stop for a rest by simply pretending you want to learn more about Pink Lake. 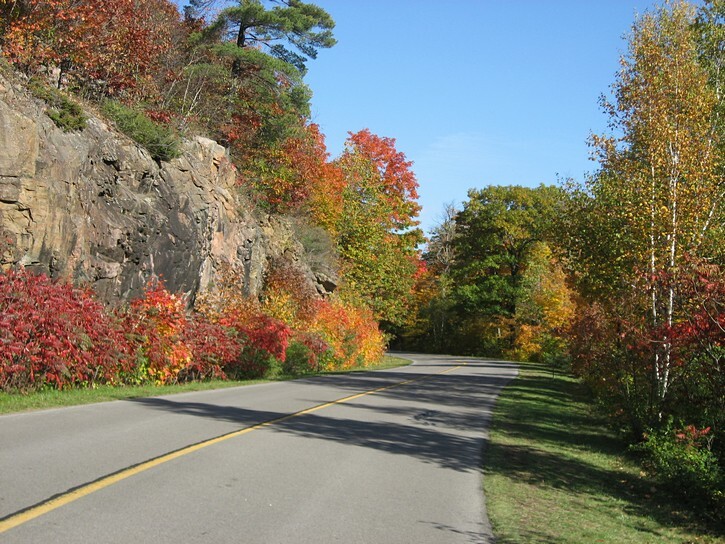 In another two kilometers you come to the point where the Gatineau Parkway intersects with the Champlain Parkway. Turning left onto the Champlain Parkway puts you on the more direct route to the Champlain lookout. If you take this route, you eventually have to climb another tough hill (King Mountain) which begins soon after you see the sign for the Lake Mulvihill parking lot. It is a long hill with lots of curves and is probably as steep as the Pink Lake hill (a climb of 285 ft or 87 m). The good news is that once you have climbed it, you will be over the worst, and the remaining hills will seem a little more manageable by comparison. Riding the Loop. 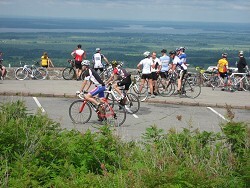 Cyclists who are into serious training often head into the Gatineau Park to ride the “loop” several times over. 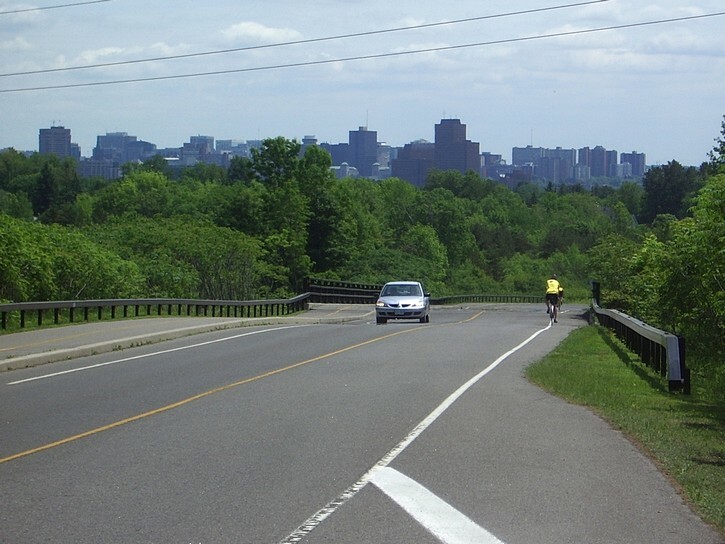 The route for this ride is easy to spot on a map, and it involves completing a loop by using the Fortune Parkway, and Champlain Parkway, and the northern segment of the Gatineau Parkway. Needless to say, by riding the loop multiple times, you are guaranteed to enjoy some of the park’s best hills over and over again. This includes the Fortune Lake hill and King Mountain hill, and several others which will also provide you plenty of exercise. In the author’s opinion, you’ll get a slightly better workout by cycling the loop in a clockwise direction. Whatever the case, the more loops you do, the more bragging rights you’ll have. You can get to the loop by riding into the park as described in the main article, but people who only have limited time to train often drive in and start cycling the loop at the P 8 parking lot. Although not as popular, the P 10 parking lot can also be used for this purpose. How good are you? Ever wondered how you measure up to other cyclists who are maximizing their training opportunities in the Gatineau Park? The results of the time trial (TT) races organized by the Ottawa Bicycle Club in the park can provide a good benchmark on how well you are doing. These time trials started at the South Gate (next to the P 3 parking lot) and end at the Champlain Lookout. Competitors ride along the Gatineau Parkway turn left (at the first intersection) onto the Champlain Parkway. 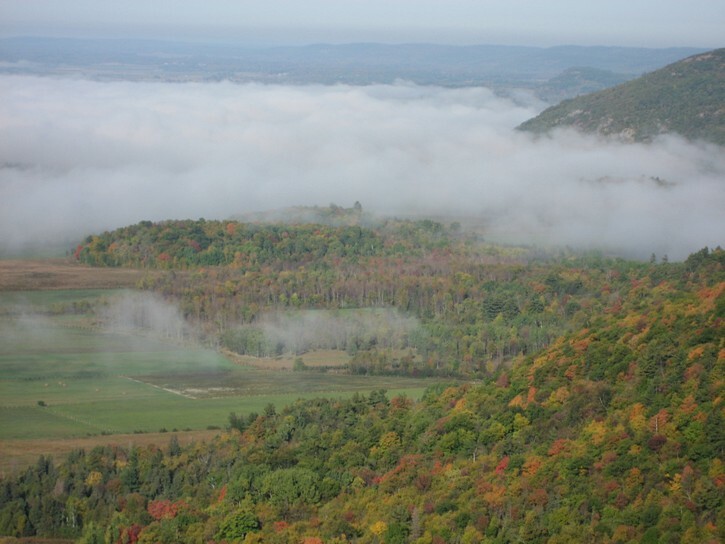 This is the most direct route to the Champlain Lookout, and it’s about 18 kilometres long. 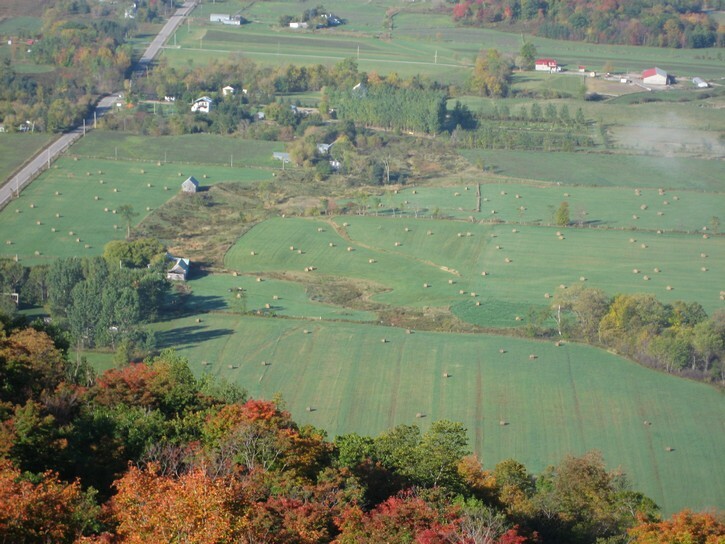 It includes some tough hills, including the Pink Lake hill and King Mountain hill. The time trials took place when the park is open to regular traffic. The fastest of the elite male cyclists completed the time trials in about 29 minutes with an average speed slightly over 37 kilometres per hour (that’s for the entire course, hills and all). The elite women cyclists were almost as fast, completing the time trails in approximately 32 minutes. The bulk of the fast riders (as opposed to the super fast), came in with times in the 35 to 40 minute range. The slower riders, many of whom are in the older age groups (people in their 50s and 60s), completed the course in a touch over 45 minutes. If you try this time trial on your own, you may finish with a time in the 50 to 60 minute range (unless you’re already an elite athlete or close to it). But don’t despair, with the right training, and a lightweight carbon fibre bike, you should be able to improve your time. 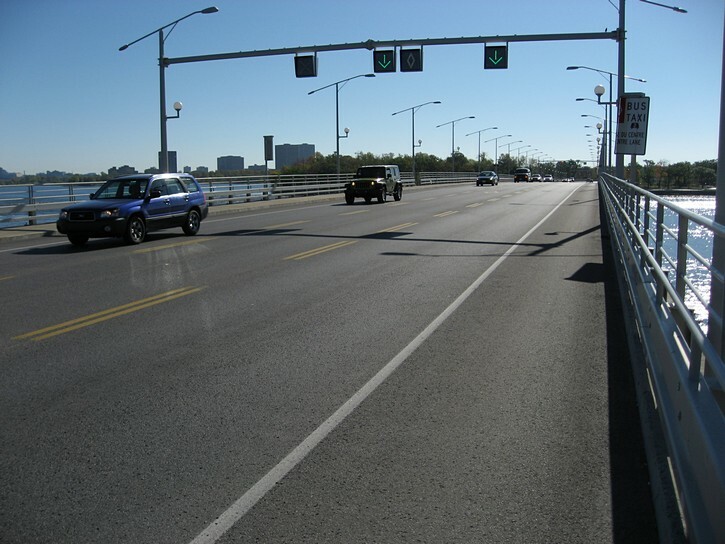 Note that instead of turning on the Champlain Parkway, you can continue straight on the Gatineau Parkway. This route eventually joins the Champlain Parkway further in the park, but it loops to the east and adds about 5 kilometres to your ride. If you do take this route, be prepared to climb one of the longest hills in the park. It starts at Meech Road and runs up to Lake Fortune, and can be described as the hill that never seems to end (a climb of 410 ft or 125 m). However, this hill may not be as difficult as it first appears because it has a few spots where the grade levels out a bit and cyclists are able to catch their breath. Be sure to follow the directions for the Champlain Lookout when you arrive at the fork in the road near the beginning of this climb (it’s well indicated). You’ll know you are getting close to your destination when you see the turn offs for the Huron and Étienne-Brûlé Lookouts. There is no need to stop at these because the Champlain Lookout is only a few hundred metres further up the road. When you get there, you stay right and do the small loop that brings you around to the lookout wall. Consider this your self-congratulatory lap for having made it (like the pros do when they ride down the Champs-Élysées during the final stage of the Tour de France). Needless to say, the lookout wall is a great place to stop for a rest, drink some liquids, replenish your energy with a high carbohydrate snack, and take in the view. On weekends, you’ll find an instant community of cyclists doing exactly this. 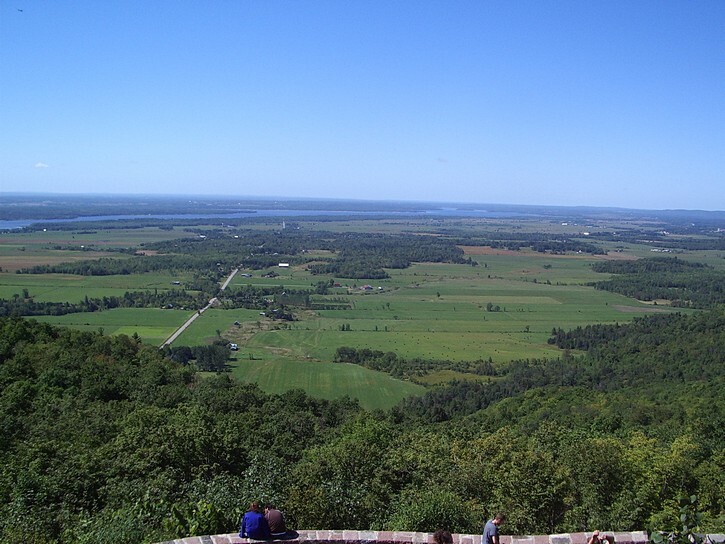 On a clear day you’ll get a commanding view of the Ottawa River and Ottawa Valley. If there is a nice wind blowing, you may see a succession of sailboats heading to anchorages up river (check out my cruising guide for this part of the Ottawa River). Your return trip will involve a lot of descents, and will obviously be much easier and faster. You will still encounter a couple of uphill segments on the way back, but they will not seem to be all that difficult. With all the downhill riding, your muscles will be well rested to deal with these few climbs. 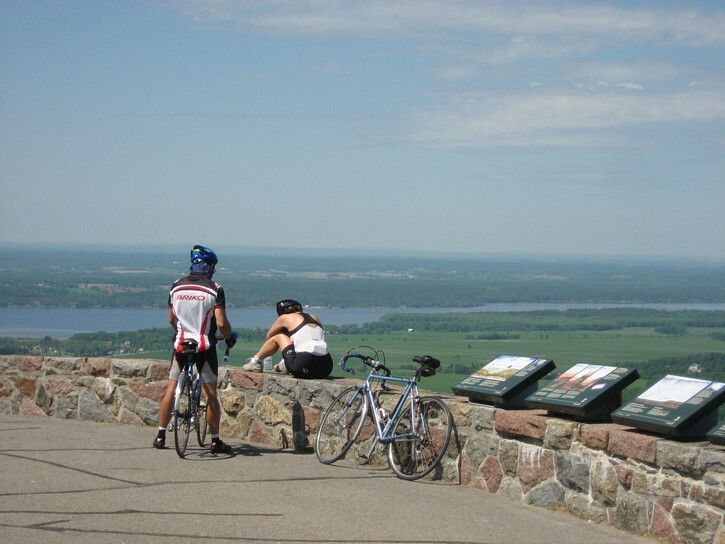 When considering a ride to the Champlain lookout, it should be noted that the NCC closes the parkways to motor vehicles (starting from P3) every Sunday morning from 6 am to 11 am from mid-May to the end of August. Although it is nice to be able to take up the entire parkway when cycling on Sunday mornings, the level of traffic during other periods is usually not a big problem. The one exception is in the fall when the leaves are changing colours. There can be an amazing amount of traffic (including large tour buses) in the park on weekends from late September to mid-October. 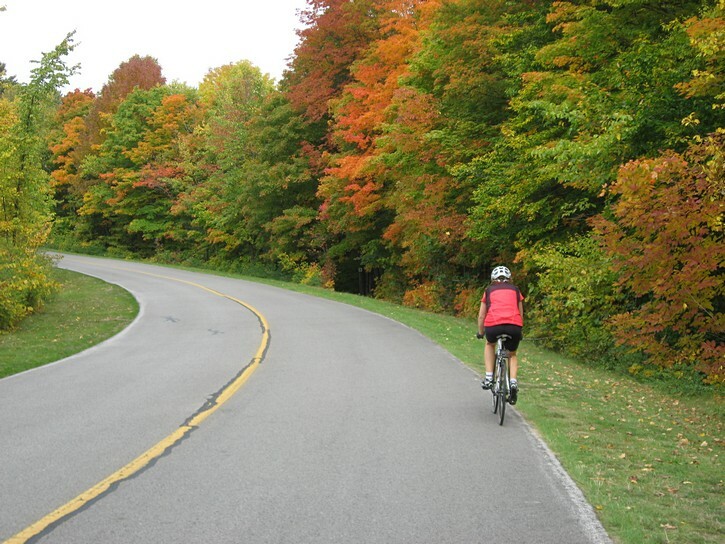 Cyclists may want to think twice before going to ride on the parkways in the Gatineau Park on weekends during this period. 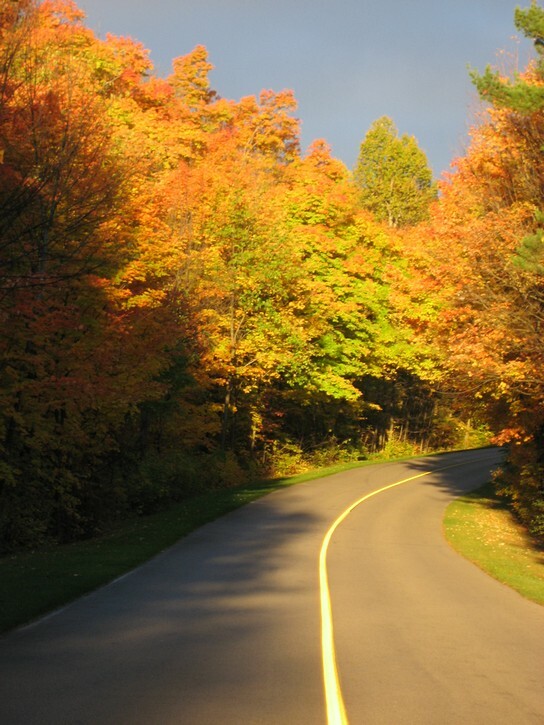 If you really want to see the fall colours on your bike, you may be better off taking a day off work and going on a weekday when traffic levels are still manageable. 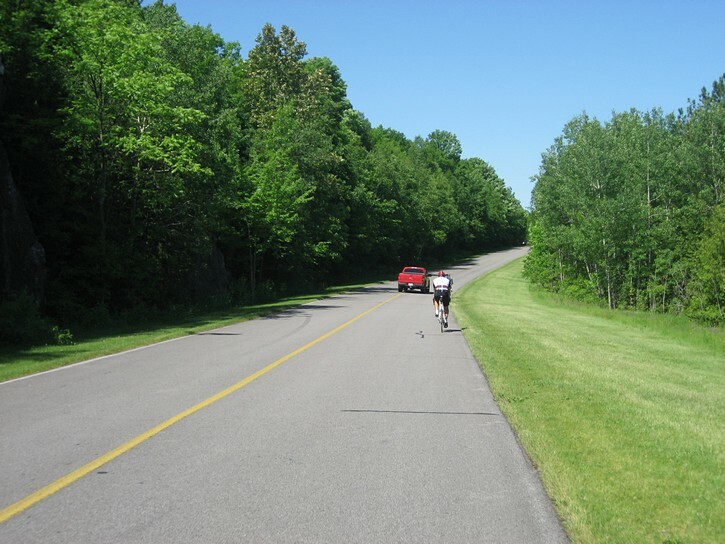 And finally, a few personal observations about riding in the Gatineau Park. Competitive cyclists and racing teams often come here to train (usually earlier in the day). They breeze right by me when we are all climbing a hill. I sometimes feel like I’m standing still. At other times, the park is filled with recreational cyclists (usually in the afternoons). Now the situation is reversed, and I end up passing many (not all) of the cyclists I encounter going up hills. 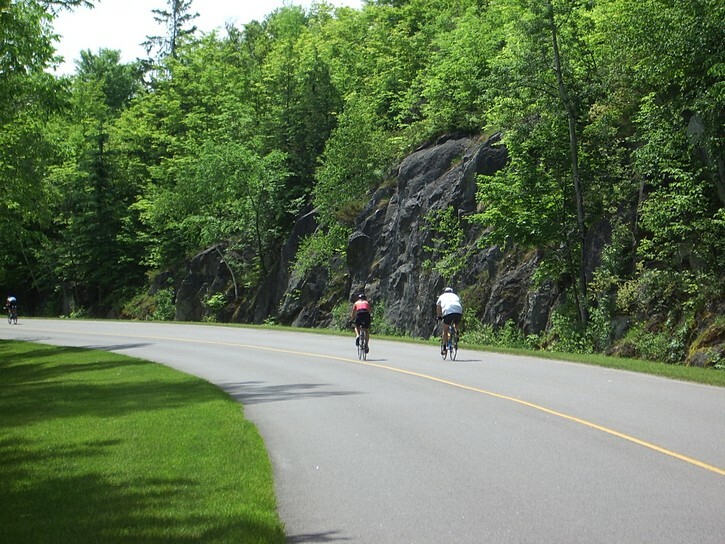 The bottom line is that the Gatineau Park is used by cyclists with a wide variety of skills and hill climbing abilities. So don’t get too discouraged if you find the hill climbing difficult. One thing is for sure, it will get easier the more often you go.